How the magazine got started, and a timeline of our history. Urbanette Magazine was officially launched in 1995 by Hilary Rowland, a then-15-year-old girl living in rural Canada, who had an affinity obsession for magazines. 1994 – The magazine is started as an occasional long-form blog, with articles written by Hilary Rowland, mostly about body image, on GeoCities/BHI (a free “webpage” builder that was bought by Yahoo in 2009 and shut down). Back then it was called “HILARY Magazine”. 1995 – The magazine is launched at its own domain name, and removed from GeoCities/BHI. Articles (written by Hilary) are published on a regular schedule, and are print-magazine style. Hilary lands her first in-person A-list interview: Hilary Swank. As a side note, Hilary also founded New Faces, the world’s first online portfolio site of any kind, and the first time casting was done online. She no longer runs New Faces, but it still provides income. 1997 – The magazine starts publishing articles by other writers. 2005 – The magazine gets a major re-design. No more white and airy! 2006 – Hilary moves her offices from Toronto to NYC’s West Village. 2009 – Hilary starts Project Migration, one of the very first social enterprises in history, and runs it alongside New Faces and the magazine, out of a loft in NYC’s SoHo. 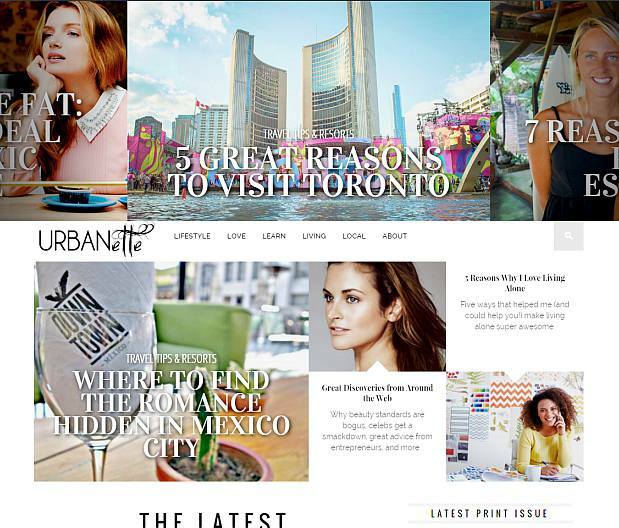 2010 – HILARY Magazine is renamed to Urbanette Magazine and gets a new website design (as always, designed by Hilary, whose tastes are constantly evolving). She adds a NYC/Hamptons section. 2012 – Urbanette Magazine becomes the first magazine to be 100% volunteer and give 100% to charity. Officially, a “social enterprise”. Hilary meets her husband, gets engaged in a month, and married soon thereafter. 2013 – Hilary learns print design and Urbanette Magazine publishes its first physical print issue: The Bridal & Love Issue. Hilary, the driving force behind Urbanette, gets cancer and is forced to put the print issues on temporary hold. 2015 – Hilary recovers completely, having become a healthy lifestyle expert in the process, and learns how important it is to manage stress. Hilary decides to completely relinquish control of her other businesses (but still collect passive income), and also put her other social enterprise, Project Migration, on hold. Until now, she had been running several businesses alongside Urbanette, dividing her time between them. But now, by freeing up her time and focusing 100% of her efforts on growing Urbanette, the readership and social media following starts growing quickly. Hilary becomes an official “influencer” / “tastemaker” and Urbanette gets yet another web-facelift (coding and design by Hilary). 2016 – Urbanette begins to accept selected sponsorships and puts 100% of the profits in a fund which is used to help empower women in developing countries become self-sustaining entrepreneurs through micro-loans. Hilary moves from NYC to France. 2018 – Hilary moves to Monte Carlo, Monaco. In late 1994 I began writing articles and posting them on a free webpage, with the intention of someday having a real print magazine. In early 1995 I realized that the web would play a big part in the future of publishing, and I launched my articles in the form of a women’s magazine. I programmed everything myself in HTML, and I used photo software to make all the graphics and mock-up covers (complete with fake bar-codes LOL). It was the first online magazine, and I called it HILARY Magazine (mostly because I was reading Jane, Marie Claire, etc. and since I was the only writer at the time, it seemed to make sense). It’s since been re-named to Urbanette Magazine, which I like much better. Both as a teenager and now, I was frustrated by superficial print magazines that were crammed with advertorials and articles that make women feel like they need to look a specific way to be attractive or have value as a person. The primary goal of Urbanette has always been to publish articles (on body image, culture, etc.) that are not only interesting, but that also benefit the reader in some way. We publish articles about body image, the over-sexualization and objectification of women in our culture, conscious living and how the media affects women. 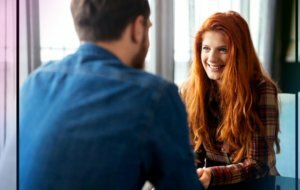 Through these articles, we help our readers adopt a healthy and accepting outlook on women and themselves. I’m very proud of the magazine because of what it stands for, and the fact that it was the first and there’s still nothing out there quite like it. Want more? Check out this video and more about Hilary Rowland or connect with her on Instagram or her personal Twitter. 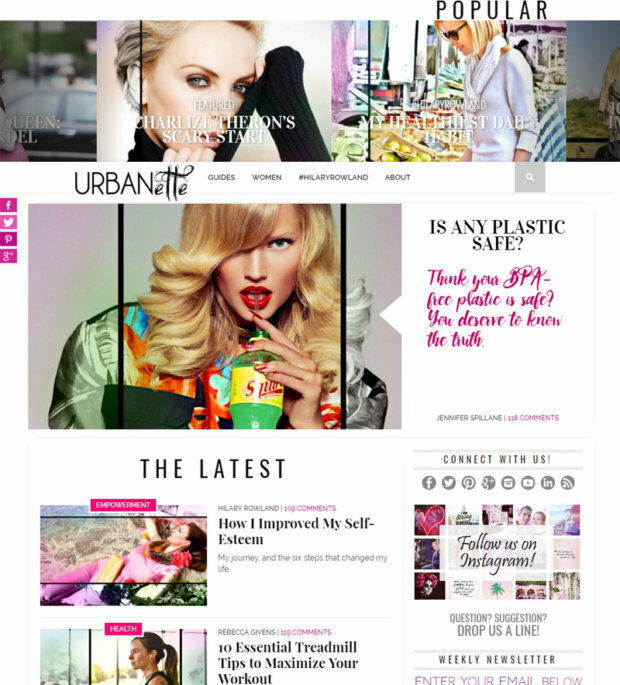 Urbanette® is the thinking woman's lifestyle guide. Join tastemaker #HilaryRowland and discover the Urbanette® lifestyle: exciting, empowering and elegant. I’ve really seen how Urbanette change through the years and it’s for the better. This is a really inspiring history. With enough perseverance, you can really reach your dreams. Hilary Rowland is the writer of her own story, just like the rest of us. We create our own goals and dreams and we have to take action in doing it. Guys, ever since she was a kid, she wanted this already. I think that’s what most of us forget, our dreams when we were just a kid. Sometimes, that’s where our heart really is. Take that inner child as an inspiration. I’ve really fallen in love with this magazine’s content. I couldn’t find it anywhere else. You’ve achieved a lot! I’m a proud reader! Your writers are very amazing Hilary. It’s great that you contributors are really doing a good job in order to keep the versatility of this blog. It’s like Hilary was born for this. It’s been ages since Urbanette was born, even though it had a different name before, but this lady knew where her passion was and she pursued it. She knew there was already a potential with what she writes and she didn’t give up on it. There’s a moral story for us in this history of Urbanette and Hilary’s success: no matter how long it takes in order for us to reach our destination, just keep on going and don’t ever think about giving up. Don’t ever stop doing what you love Hilary because we will lose Urbanette!